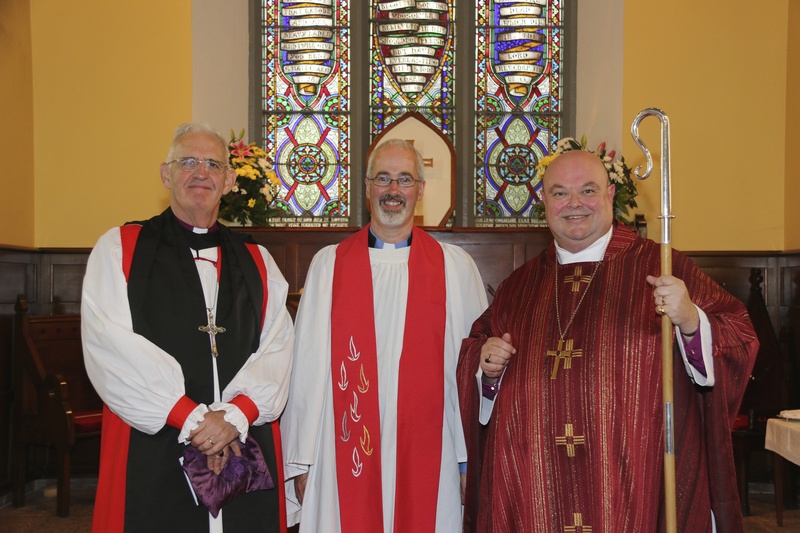 On Sunday, 24th August, during a celebration of the Feast of St Bartholomew the Apostle, the Reverend Cliff Jeffers was instituted as Rector of the Parish of Fanlobbus Union, a parish which is centred on the town of Dunmanway, County Cork. A huge crowd filled the Church of Saint Mary, Dunmanway to capacity. The Bishop of Cork, Cloyne and Ross, the Right Reverend Dr Paul Colton, presided and instituted Cliff as Incumbent of the Parish. The preacher, a long time friend of Bishop Colton and the Jeffers family, was the former Archbishop of Dublin, the Right Reverend Dr John Neill. Also present were representatives of other churches, the local community and public representatives led by the Mayor of Cork County, Cllr. Alan Coleman. Pictured following the Institution of the new Rector of Fanlobbus Union were (l-r) the Right Reverend Dr John Neill (Preacher), the Reverend Cliff Jeffers (new Rector of the parish), and the Right Reverend Dr Paul Colton, Bishop of Cork, Cloyne and Ross. 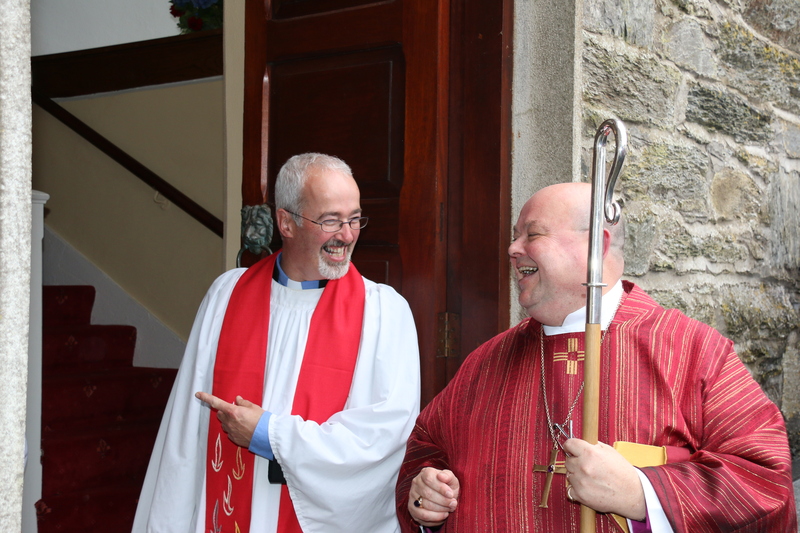 The Reverend Cliff Jeffers and Bishop Paul Colton share a joke at the door of Saint Mary’s Church, Dunmanway following the Service of Institution. This entry was posted in Appointments, Diocese, Installations, Parish News. Bookmark the permalink.